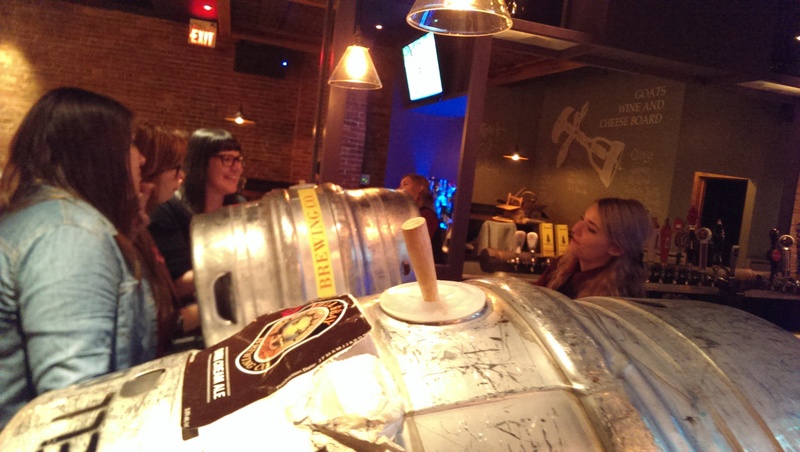 Sunday evening and we made our way to the Stubborn Goat, Halifax’s new Gastropub. They were the venue for this great event organized by the Ladies Beer League. 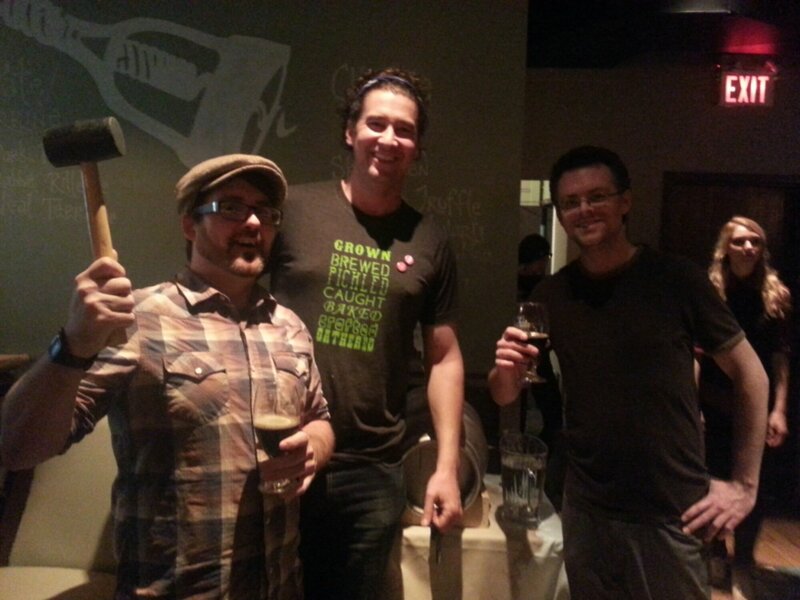 With our beer passports in hand we quickly got to having our glasses filled and checking out the casks getting tapped. 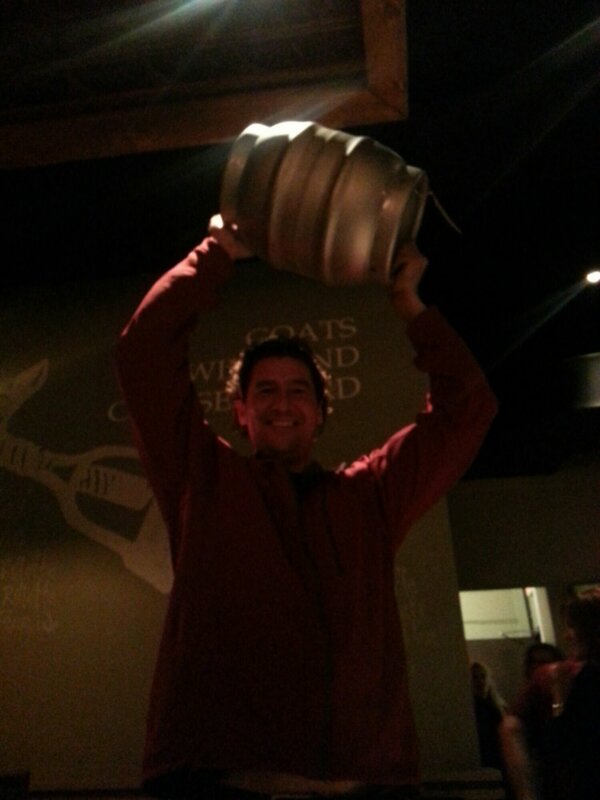 Peter started with Hell Bay’s Dark Cream Ale while Shean got his first pour from the Propeller cask of dry hopped IPA. The Dark Cream Ale was very nice in cask form having tried the bottled version a few weeks back. The low carbonation really made if feel nice and creamy in your mouth. The IPA was not so impressive as the dry hops (Chinook and Zythos Blend) were a bit odd and not really enjoyable. Interesting but not a hit. 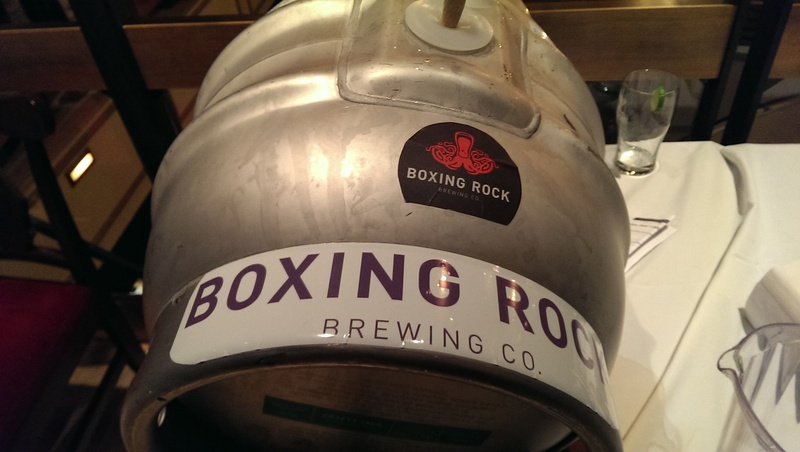 We were both fans of the Boxing Rock Brown Ale. It had a wonderful aroma and tasted great as well. 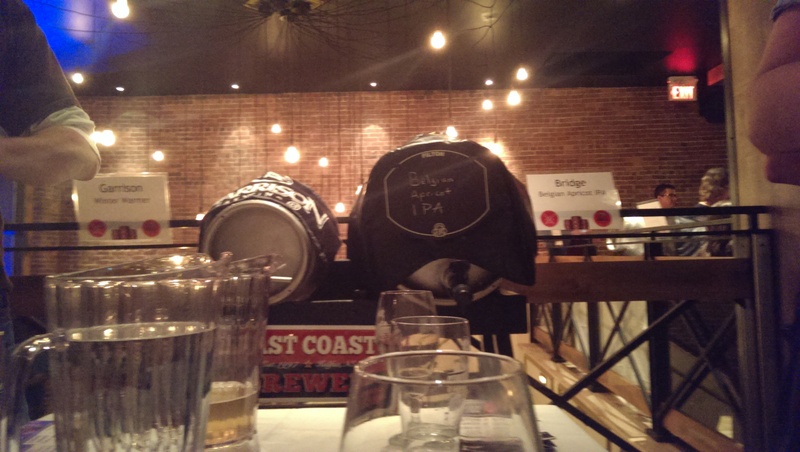 We were also really happy with Bridge’s Belgian Apricot IPA. 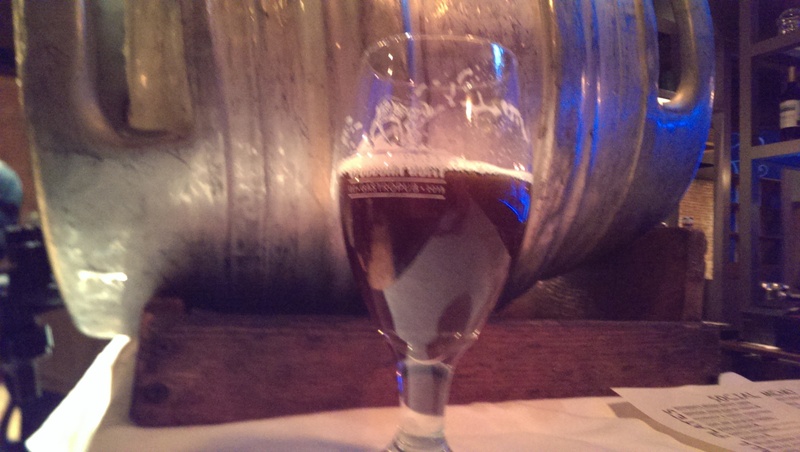 We had tried the Belgian IPA the previous evening so it was interesting to compare to this fruit infused version. The apricot gave a nice addition to the flavours already there but were not overpowering in any way. We had also tried the Garrison Winter Warmer the previous evening so got to compare the cask conditioning of that beer too. We had some fun chats with Jeremy from Big Spruce. 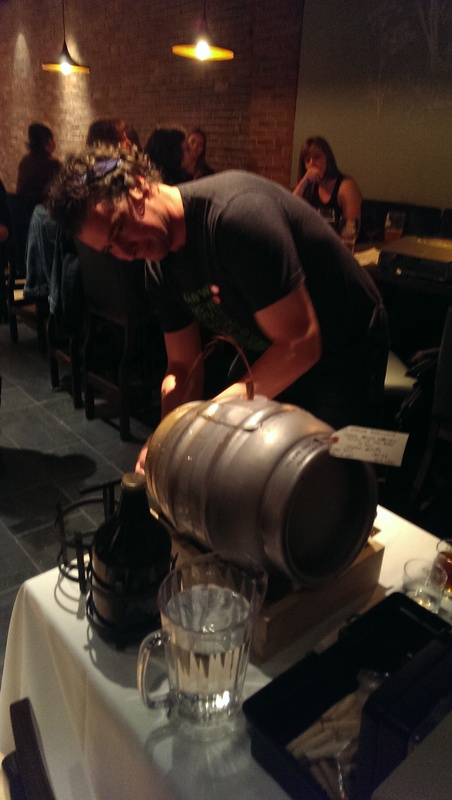 The Glenora infused Sideways Stout was fantastic. The Glen Breton single malt whisky was used well and the dry hops (Chinook maybe?) made this beer a delicious drink. So good that although the beers provided by Bridge and Boxing Rock really impressed us, and were both possibilities for our vote for best beer, we ended up both casting our votes with Big Spruce. We were happy to see that we backed the winner. We thought we would grab a Stanley Cup style pose from the winner. 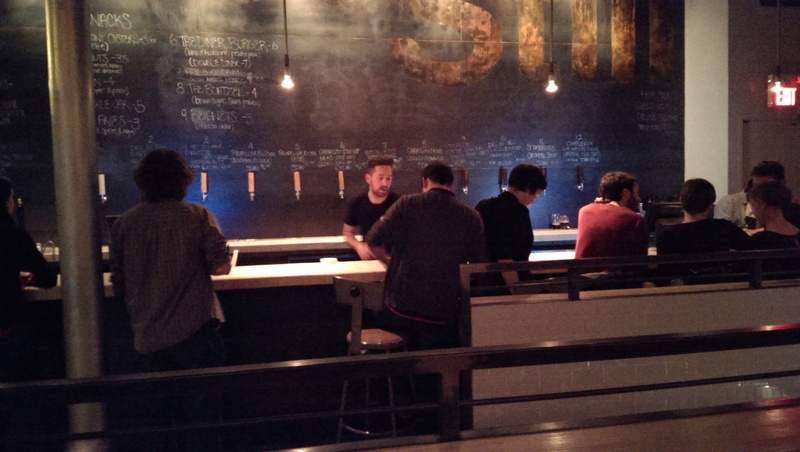 On the note of the growing Halifax beer culture we couldn’t help checking out Stillwell Beer Bar who opened this weekend. The space is really nice and it appears they swap out the kegs on tap frequently so you will find new options the next time you visit. After a couple of glasses here we were ready to hit the hay after busy couple of evenings making and enjoying beer. 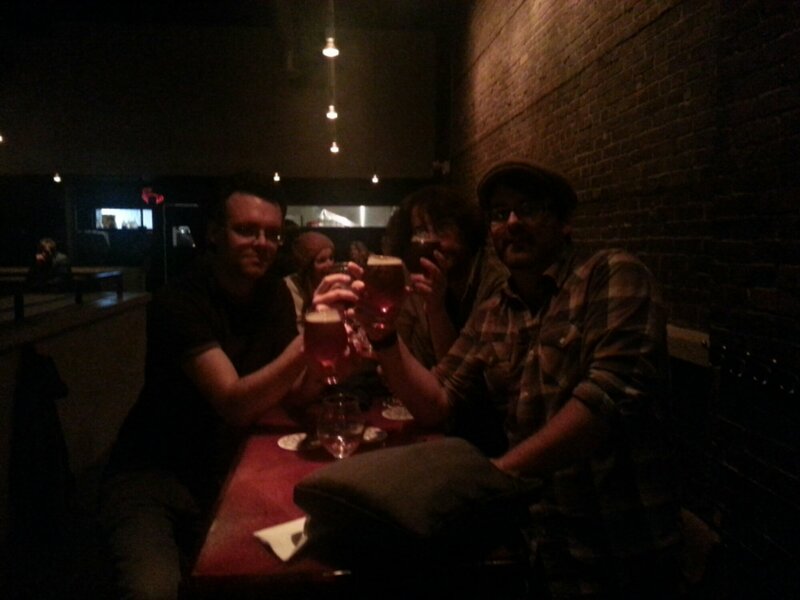 Cheers from Mashed In Hfx! This entry was posted in Uncategorized by mashedinhfx. Bookmark the permalink.